Plan a dream fairy tale wedding right out of a magazine. Make sure everything is perfect and beautiful and remember no two weddings are ever alike. 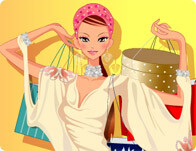 Dressup your bride and groom and make sure your not late for the big day! Welcome to Girl Games, the largest free game site made just for girl gamers! This is the place to play free Dress Up games in popular categories such as Makeup games,	Wedding games,	Teen games,	Fantasy games,	Fashion games,	Kids games,	Beach games,	Cartoons games,	Dating games,	Celebrity games,	Animals and Pets games,	Coloring games	and more! and much more! You'll always find the cool games at Girl Games, we have all the best games from game developers like i-dressup, girlsgogames and cartoon doll emporium so you will never get bored! 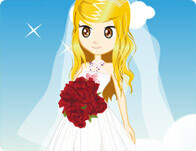 This month we have some amazing games like Sweet Spring Wedding	, Modern Bride	and The Most Beautiful Bride. New games are added every Thursday, so check back for all the latest free games online!